Are you a resident in Citrus Park, FL? 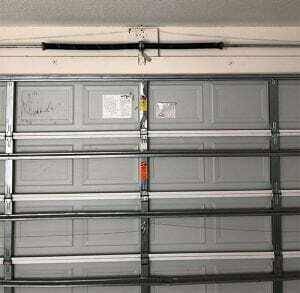 Do you have a damaged overhead garage door spring? Are you looking for brand new garage doors to beautify and secure your home? No need to worry, BP Garage Doors is the go-to-company for all your garage door services. Your garage door is the largest piece of equipment in your home, as such it is not something that you should leave in the care of just about anyone. Garage doors require a high-level of expertise to fix or maintain. Let our friendly and professional technicians get the job done for you. We offer same day services, as long as you put in a request before 2:00 p.m.
BP Garage Doors has been in the garage door business for over 2 decades. However, we are not resting on our success oars, but continue to evolve in order to stay competitive and keep clients happy. We understand that successful businesses are built on relationships and for the past 20 years, we have stamped integrity and competency as hallmarks into our business. We are proud to be part of the Citrus Park. community and hope you will give us the chance of working with you. We are highly effective in the way we work and keep things simple all round. As long as it has to do with garage doors, we handle stuff exceptionally well. From maintenance tasks to a total garage door overhaul, our expert technicians are more than up to the task. They are indeed capable of fixing any type of garage door on the planet. We are up to the challenge of repairing garage doors. However, there are times when salvaging the situation is impossible and buying new parts or replacement doors are a must. Be rest assured that we are in partnership with the best—brands that strictly produce top-notch garage doors and accessories. By this, we mean that anything we replace is built to last. We are confident in our business, you should be too! Customers are the life blood of any business. 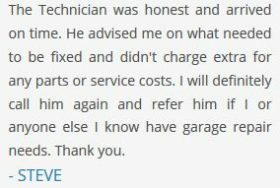 This is the reason why we never take people for granted and our technicians exude respectability and professionalism. Our technicians are privy to modern methods and use cutting edge equipment for all repairs, maintenance, and installations. Our tech team is friendly, clients are free to speak with our technicians about their concerns and tell them what they want or need. We are not a Jack-of-all-Trades, we focus on one luxury—garage doors. 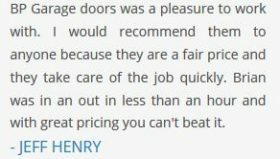 What this means is that when you choose to do business with BP Garage Doors, you are guaranteed expertise, quality products, and unrivaled service aligned to individual needs. Our ultimate goal is to get your garage door into top-performing shape, as fast as we can and without blowing up your budget. Call us today on 727-224-7599 for all your garage door concerns in Citrus Park.